Colors are subject to changes by granule manufacturers. Before making a final selection, please consider the following: 1) Request full shingle samples; 2) See actual roof applications; 3) Because the appearance of a roof may vary depending upon the light exposure, consider viewing several roof applications under various kinds of light, i.e. bright sun, partial sun, full cloud, etc. 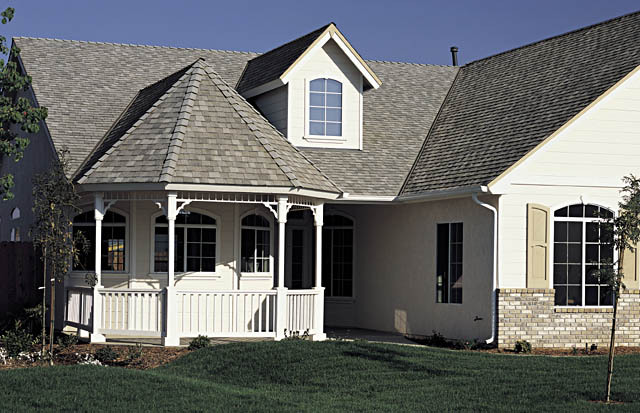 ; 4) Determine if the pitch of your roof will impact how a shingle color and style will look on your home. To make the best selection, view homes with your shingle color choice with roof pitches similar to your own.